How did motorists do in the Budget? | What Car? How did motorists do in the Budget? The cost of motoring has risen after today's Budget and will continue to increase through the year and into 2011. Fuel duty will increase in three steps a penny in April, a penny in October and 0.76p in January 2011. Fuel duty will then rise each April between 2011 and 2014 by a further penny. One penny per litre adds 55p to the cost of refuelling a small family car such as a Ford Focus. By January 2011, the initial trio of increases will add around 1.50 in tax for each refill. Motoring groups have welcomed the staggered approach to the duty increase, although the AA's president, Edmund King, said it still amounted to more than the average increase in council tax for a typical family running two cars. It is also possible that the cost of fuel will increase further if wholesalers raise their prices. The Budget has halved the tax payable on 'ultra-low carbon cars' which emit up to 75g/km of CO2. Currently, no cars qualify the Smart Fortwo diesel comes closest at 89g/km but the incentive is guaranteed for five years from April this year, so future models may benefit. This halving of company car tax follows the pre-budget announcement that cars with zero tailpipe emissions, such as electric cars, will pay no company car tax for at least five years from April 2010. 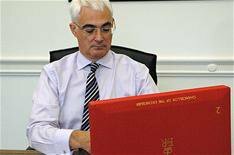 Mr Darling also announced 100 million of funding to help with pothole repairs since the cold winter. An annual survey of local authorities by the Asphalt Industry Alliance says councils were underfunded generally by more than 850 million in 2009. A further 285 million will be spent on facilitating the use of hard shoulders during congested periods on motorways. So-called 'hard shoulder' running was first allowed on the M42 and will be extended to several other motorways in England and Wales. Replay whatcar.com's live coverage of the Budget speech here. What's your reaction to the budget? Is it good, bad or indifferent?